Hello! Happy 2019! My name is Richard Chen See, and I am a 2018-19 Fulbright-Nehru Teaching and Professional Excellence Grant recipient spending six months in India. My area of expertise is in dance, specifically European based classical ballet and USA based modern dance. These are very broad descriptions, but they will serve to help you understand my activities here. As per the guidelines provided, I would like readers to understand that any opinions expressed below are my own and do not necessarily reflect the views of the United States – India Educational Foundation (USIEF). This is my second blog post for USIEF, the first being after my first month in India. At this point, I have settled back into my primary location in Mumbai after a five week stint in Delhi, and more recently, a one week visit home to NYC for the end of year holidays. As I am traveling on my own, I did anticipate making a quick trip home, and took advantage of the fourteen allowable days out of country during my grant. It was a relatively straightforward form request once I was in country had started my grant. And since I often fly for work, I was able to use frequent flyer air miles to book my tickets. Beyond the novelty and engrossing adventures facilitated by my grant, the work can be grueling and it is necessary to take a breather for the benefit of my physical and psychological health as well as to keep a perspective on how I am best using my time in India. In the field of dance, the majority of a student’s work takes place in a studio, and as a result, my teaching schedule often stretches across six or seven days a week, as I am working with both conservatory-style and community programs, and across different age groups and abilities as well. Additionally, the scope of my grant is to work with multiple institutions beyond my primary host, and so traveling between locations also has to be factored into my schedule. Happily, I am a workaholic and for every hour of studio practicum, I probably spend an equal amount of preparatory time with developing class/rehearsal materials and curriculum, as well as musical coordination, since I cannot always afford to have a live accompanist. I was able to do a similar presentation in Mumbai at Dosti House in the US Consulate General compound. Figure 3 - Royal Opera House Mumbai is the oldest opera house in India. 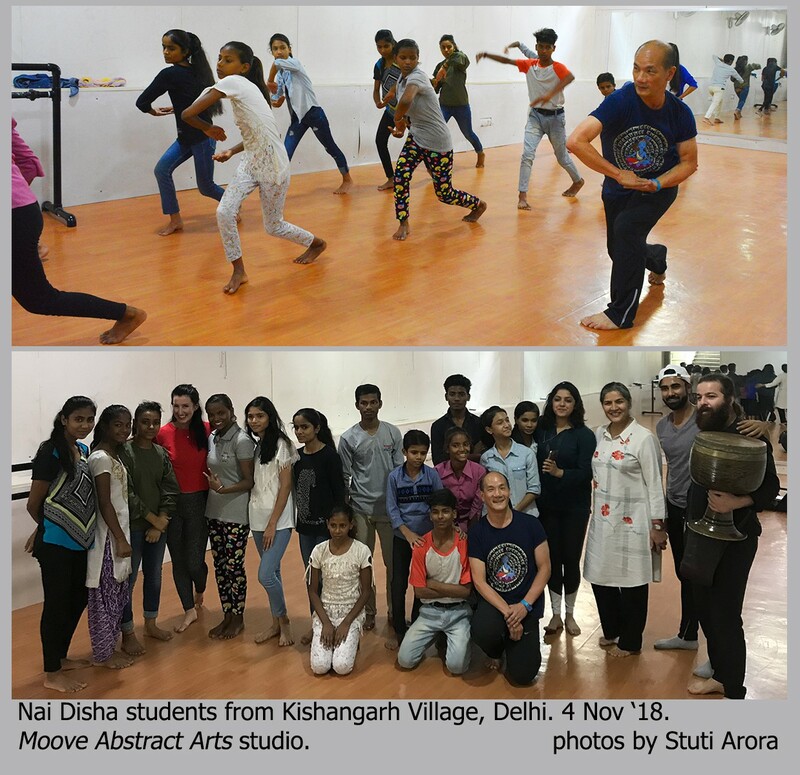 Getting out to see performances related to my field has also been extremely helpful in putting into context the strengths and weaknesses I encounter when teaching American modern dance and ballet forms here in India. 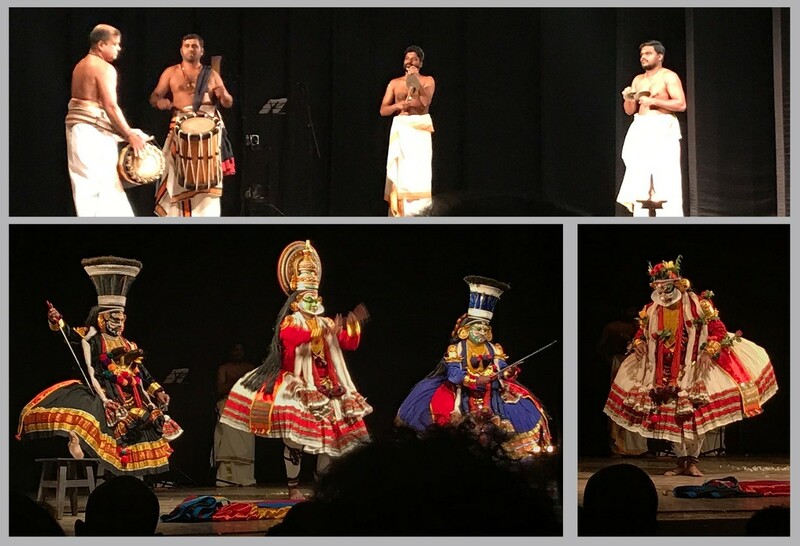 There is a deep heritage of classical Indian dance that emphasizes the solo performer and a decidedly mimetic sort of sign language that is used to tell quite literal stories through dance. Modern dance and ballet is mostly focused on the expressive and non-literal interpretation of body control and language, often seeking to appear spontaneous and “effortless”. At times, this is difficult to explain when dance students question how whatever has been taught in class can, and should, be applied to their dancing. The literal-minded nature of classical Indian dance overlaps with Bollywood and many popular music-video style productions in which dancers typically lip-sync while dancing to illustrate the words of poem and songs. One additional perk of being a Fulbrighter is the network of other individuals that may only have a peripheral interest or knowledge of your field. It has been great getting to meet some of the scholars and other professionals in different fields in both Delhi and in Mumbai. Discussions often start with how familiar we may or may not be with India, and quickly moves to what we have each done to adapt to living and working in our respective environments. For me, meeting up with other Fulbrighters has been a great opportunity to expand my social understanding of life in India and to keep perspective on both the limitations and potential of the impact our prescribed grants periods might afford.